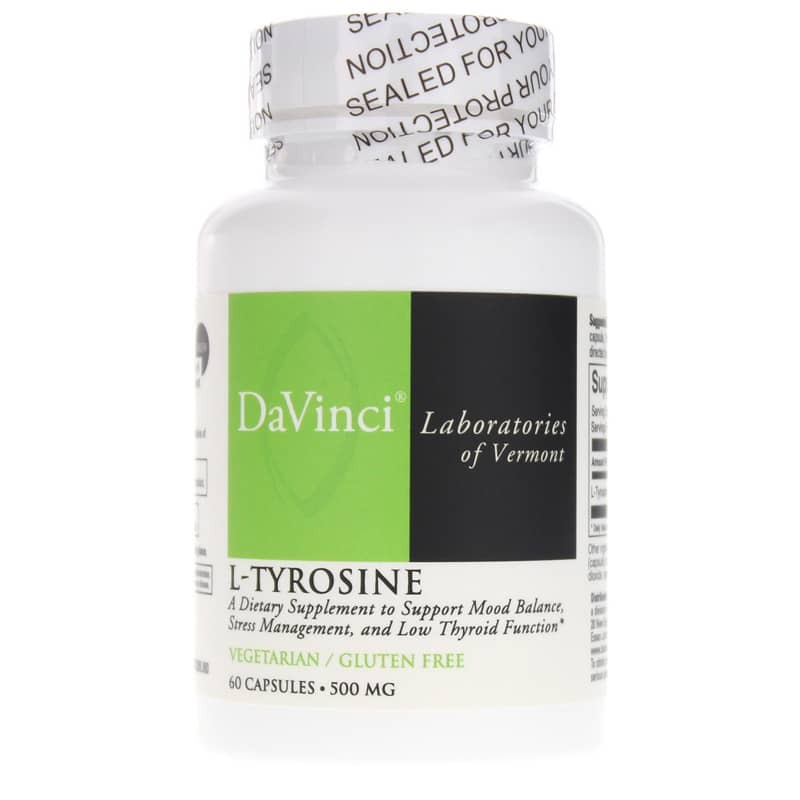 DaVinci Laboratories L-Tyrosine is a natural vegetarian dietary supplement to support mood balance, stress management, and thyroid function. A nonessential amino acid or protein building block, tyrosine is derived from the amino acid phenylalanine. It serves as a precursor to a range of neurotransmitters and molecules. Your body can synthesize tyrosine from the amino acid phenylalanine to meet the body's demands; however, there are conditions, such as Phenylketonuria, that demand a dietary source. Tyrosine is used as a precursor to thyroid hormones tyroxine and triiodotyroonine, which support thyroid function. 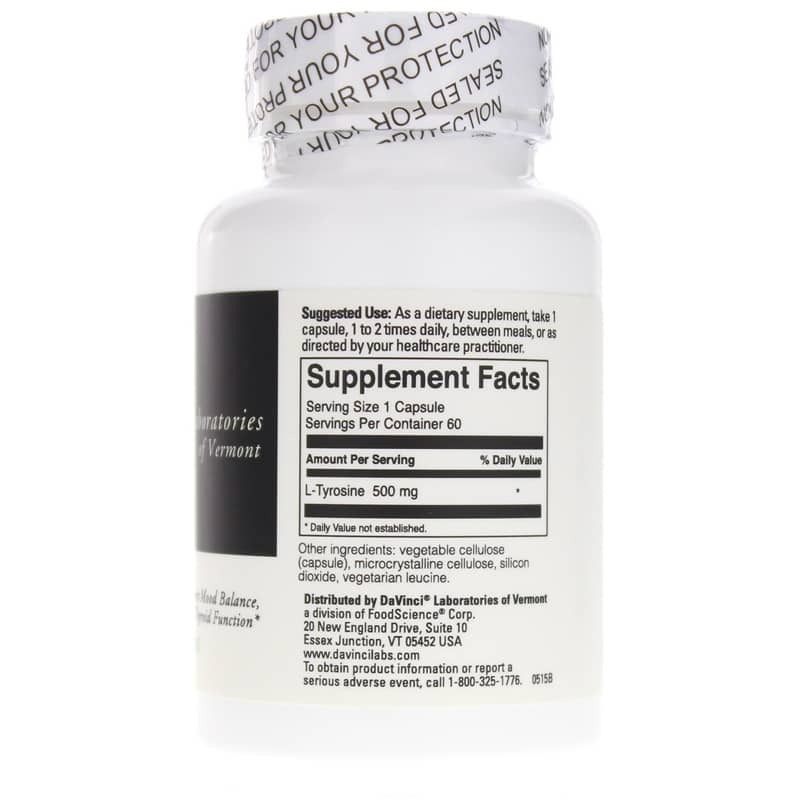 Tyrosine is a critical building block for such neurotransmitters as epinephrine, norepinephrine, and dopamine, which help regulate mood and stimulate the metabolism and nervous system. Dopamine supports numerous functions in your cardiovascular, endocrine, and central nervous systems, and it may be transformed into norepinephrine or epinephrine. Reduced Tyrosine leads to decreased production of norepinephrine and dopamine, which can lead to low mood states. Supplementing with L-Tyrosine may help promote a balanced mood. Some scientists say the brain may not be able to produce tyrosine from phenylalanine when it is under stress. Under such stress, epinephrine, norepinephrine, and dopamine production may also be affected. However, supplementing with L-Tyrosine may help the body to better cope with stress. 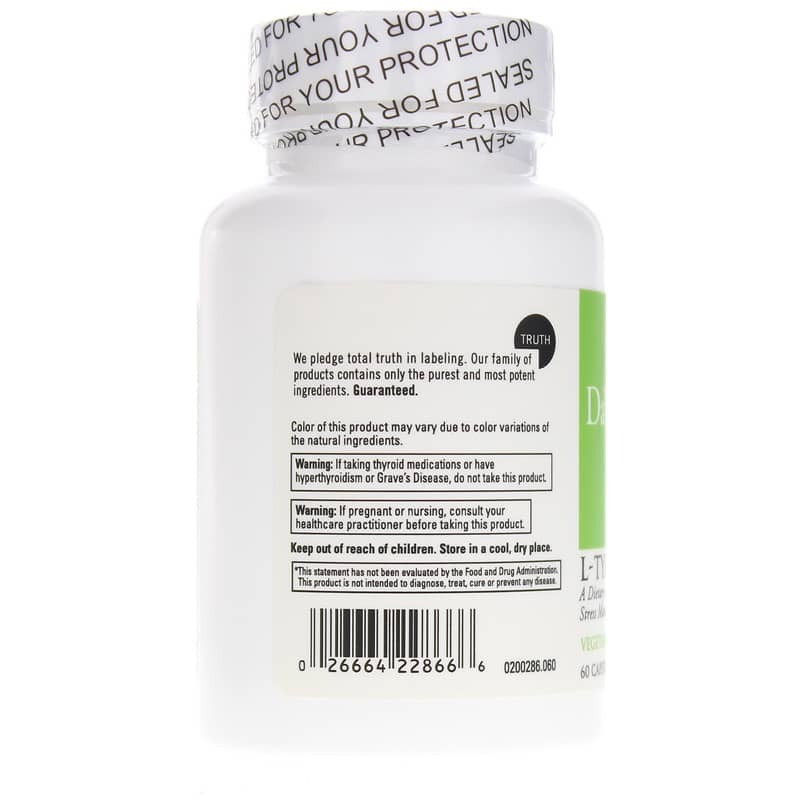 Other Ingredients: vegetable cellulose (capsule), microcrystalline cellulose, silicon dioxide, vegetarian leucine. Adults: As a dietary supplement, take 1 capsule, 1 to 2 times daily between meals, or as directed by your healthcare practitioner. If you are taking thyroid medication or have hyperthyroidism or Graves Disease, do not take this product. If you are pregnant or nursing, please consult your healthcare professional before using this product. Keep out of the reach of children.